A large leafy plant that can cause third-degree burns and blindness has been found in Alexandria, Virginia, days after researchers said the plant was found for the very first time in another part of the state. 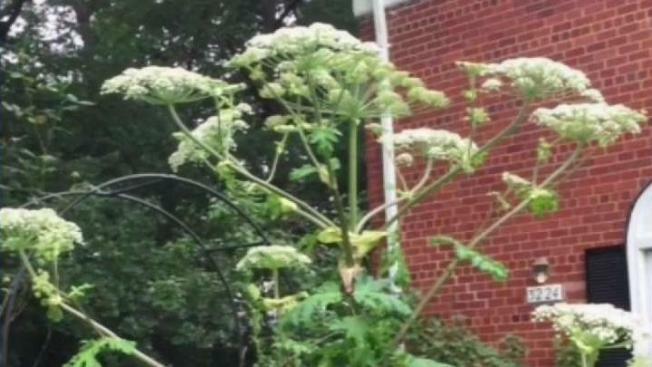 Someone found the hogweed plant in a planting bed between two buildings on Martha Custis Drive on Thursday. Property managers told News4 they met with a representative with the Virginia Cooperative Extension to investigate the plant. Crews then dug up the hogweed and removed it. "It actually is kind of cool I guess that something so rare is in the neighborhood. Unfortunately, it happens to be something that you don't ever want to touch or get near," resident Alicia Capobianco said.